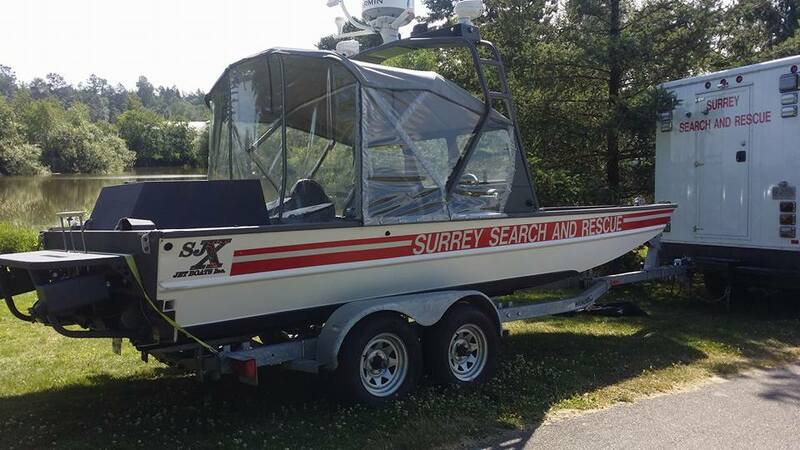 The team is made up entirely of volunteers who dedicate considerable time and effort to being well trained and equipped to perform rescue missions in our communities. 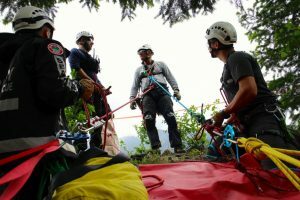 Our Rope Rescue Team is a critical component of emergency response to subject access and extraction from forested and mountainous green space parks and wood lands. Our specially trained technicians are taught how to operate safely in the high risk environment of rope rescue. This team is trained to perform rescues with other technicians, lowering members over low-slope to high angle environments of ravines, cliffs, gullies, and pits. The safe entry and extraction of our members and subjects is crucial to our training and why our members feel the need to dedicate them selves to this disciplined function. The training for both skill maintenance/development along with our operational goals to keep our rescuers and subjects safe is required in order become an active member of this disciplined group. The benefit of the rope technician skill set with in a SAR groups rescue ability is to allow for safe, and quick response access for members and subjects that are usually in precarious locations.